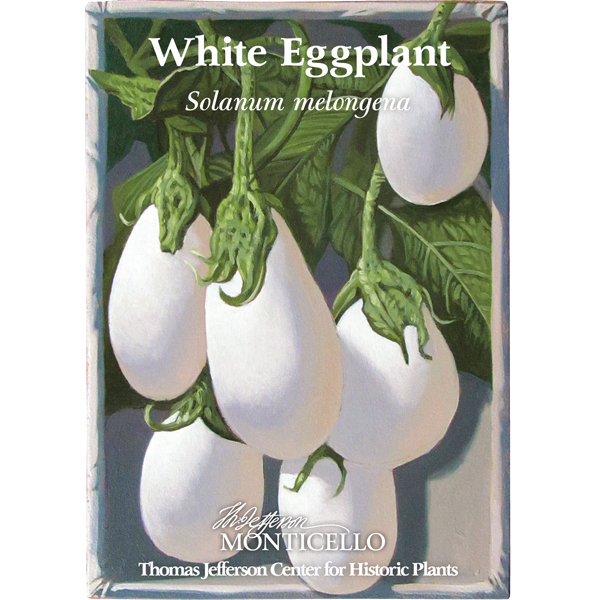 White Eggplant was listed along with a purple variety in several eastern United States seed catalogues by 1825 and Thomas Jefferson was growing both types at Monticello as early as 1812. Also known as melongena, eggplant originated in Asia, where it has been grown for centuries. 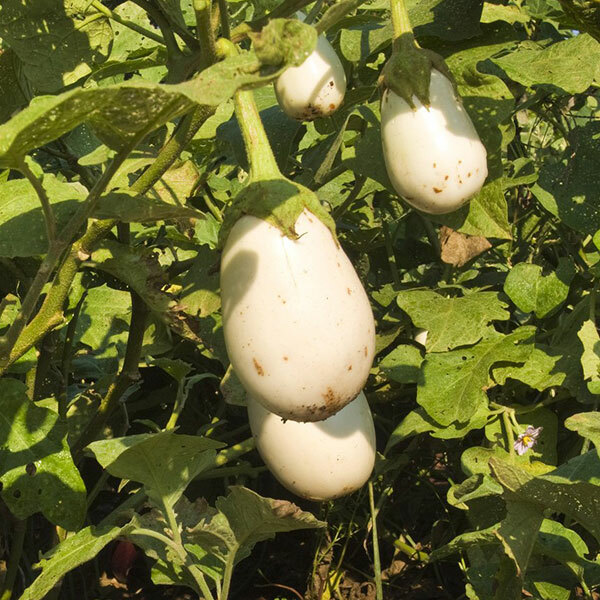 White Eggplant yields delicious, egg-shaped fruits up to 6 inches long. 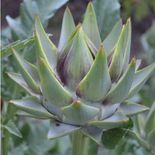 Sow seeds indoors 8-10 weeks before last frost date, transplant to 3" pots once they have several true leaves, then transplant outdoors 2-3 weeks after last frost. Eggplants require daytime temperatures above 65 degrees F and fertile, well-drained soil. 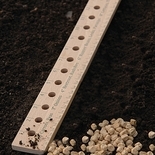 Approximately 20 seeds per packet. Line Drawing from The Vegetable Garden by M.M. Vilmorin-Andrieux (1885).